There is a saying that goes ‘Eyes are the window to the soul’, it shows the importance of eyes throughout human history.The human eye is a fascinating sensory organ and it comes in different shapes allowing us to see visual light signals of the outside world, then these signals are interpreted in the visual cortex located in the occipital lobe to form these complex pictures in our brains.One significant feature is that the color of human eye varies a lot, Therefore it takes any shade of the visual spectrum. 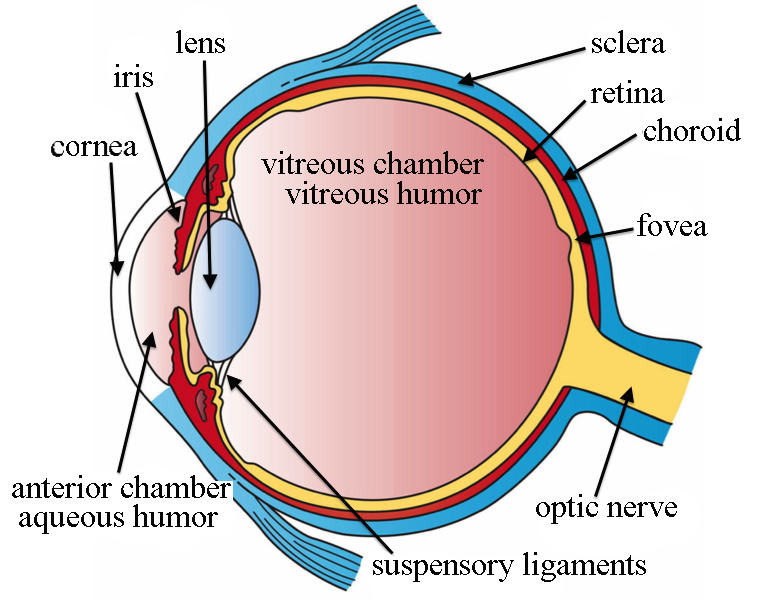 The anatomy of the human eye is clear and simple and each element has a specific role.The colored part of the eye is called the iris(see the pic below), which has pigmentation located in the back epithelium, within the iris stroma and in the frontal epithelium giving the eye its general color. In fact, the only pigment that contributes to normal human iris color is the dark pigment melanin, thus the concentration of melanin pigment in the iris is the major factor that determines eye color of a person and there is no such thing as green or blue pigments. 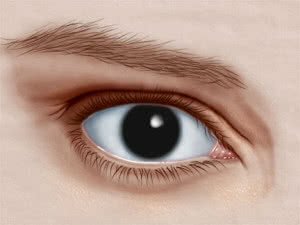 Unlike the skin and the hair, there are two types of melanins in the iris eumelanin (brown/black melanins) and pheomelanin (red/yellow melanins) both produced by special cells called melanocytes.If pheomelanin is more predominant than eumelanin, the eye color is brighter and if eumelanin is more predominant than pheomelanin, the eye color is darker. Long ago we thought that eye color is modeled as a simple Mendelian trait with the darker colors tend to dominate, so brown tends to win out over green, and green tends to win out over blue.Statistical charts have indeed demonstrated a higher probability for two parents with blue-eyed and brown-eyed traits to have a black-eyed child, but it was until recently that scientists have realized the genetic complexity of eye color.They found that eye color phenotypes demonstrate both epistasis and incomplete dominance and as you know epistasis is a phenomenon where one phenotype is controlled by several genes.In fact, about 16 different genes were identified and the most important are two adjacent genes located on chromosome 15 HERC2, OCA2 (2) and another one located on chromosome 19 known as the Ecyl 1 gene. Under normal circumstances, The OCA2 gene is the main gene for melanin production.A region of the brain called hypothalamus or pituitary gland secretes a hormone called MSH (melanocyte stimulating hormone) which bind directly to MC1R receptors in the melanocyte and activates the OCA2 gene.As a result, a protein called P-protein(PP) is largely produced depending on the concentration of MSH and the interaction time between MSH and MC1R.PP acts like a transporter, it allows the entrance of the amino acid tyrosine inside the cell to act as a precursor for eumelanin production. On the other hand, a different pathway is used to produce pheomelanin.In addition to tyrosine, cysteine is also required and scientists believe that the initiation of this pathway is controlled by agouti signaling protein (ASIP), an MC1R antagonist. 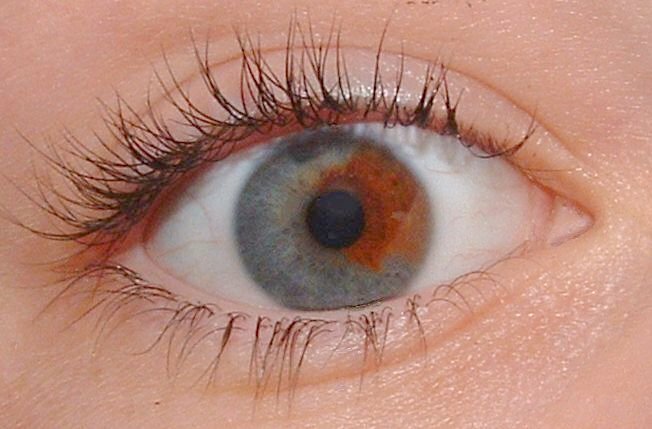 Different eye colors have been seen in humans, brown color is the most popular with over 55% of the world’s population having brown eyes.Brown eyes are a result of a high concentration of melanin in the stroma of the iris, which causes light of both shorter and longer wavelengths to be absorbed. Blue eyes are caused by a mutation in the HERC2 gene resulting in suppression of the OCA2 gene’s activity, therefore fewer melanin pigments are made.A study published in human genetics has suggested that the mutation may have arisen in the northwestern part of the Black Sea region couple of hundred years ago. Blue eyes have a dark back epithelium and a low concentration of melanin in the stroma.When the light reaches the eye, longer wavelengths of light are absorbed in the epithelium and the shorter wavelengths(blue waves) are reflected and undergo a process called Tyndall effect which is a is light scattering by particles in a colloid.Basically, it’s similar to the Rayleigh scattering which gives the sky its color. 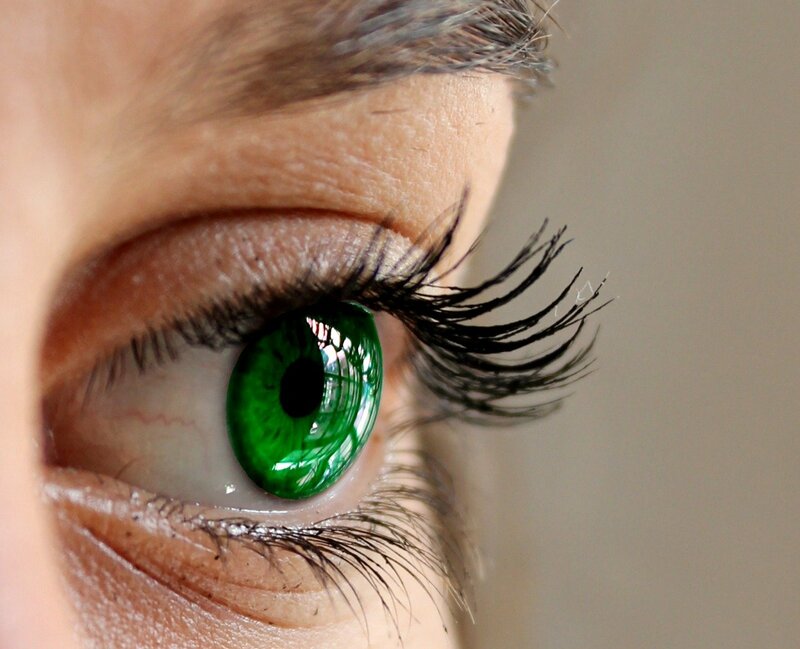 Green eyes are slightly more special, only 2% of the population have them because there are several factors needed to obtain the green color.In general green eyes have a light brown pigmentation in the stroma caused by a low concentration of melanin and a yellowish pigment called lipochrome.The light follows the last pattern and gets scattered in the stroma creating a blue shade.Yellow shade + Blue shade = Green shade. Gray eyes are commonly confused with light blue, they have a dark back epithelium and a clear stroma rich in collagen fibers.This time the light undergoes a Mie scattering rather than a Rayleigh scattering, it’s very similar to the color of the sky when it’s cloudy due to the abundance of water droplets in the atmosphere. Hazel eyes are a rare form of eye color due to a combination of Rayleigh scattering and a moderate amount of melanin in the frontal iris.The spectrum varies from brown to green and appears golden in rare cases. The picture below shows the different mechanisms of each eye color genesis. 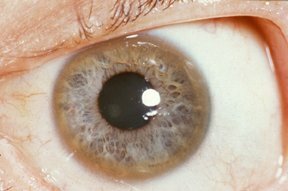 Mutation in the OCA2 gene may cause a well known congenital disorder called albinism characterized by the complete or partial absence of pigment in the skin, hair, and eyes.These individuals have red eyes due to the absence of melatonin in the iris followed by the reflection of the retinal blood vessels. Violet eyes are mostly found in people with albinism.Scientists said that you cannot truly have violet eyes without albinism but normal people were spotted with this extremely rare eye color, maybe the most famous one is Elizabeth Taylor who was an actress born naturally with violet eyes(6).A lack of pigment mixed with the red from light reflecting off of blood vessels in the eyes, and you get this beautiful violet. Black eyes are also extremely rare and beautiful, generally found in people with dark skin. Unlike brown eyes dark eyes are richer in melanin in the 3 layers of the iris, absorbing almost all the light waves. Although they appear black, they are really a very, very dark brown. 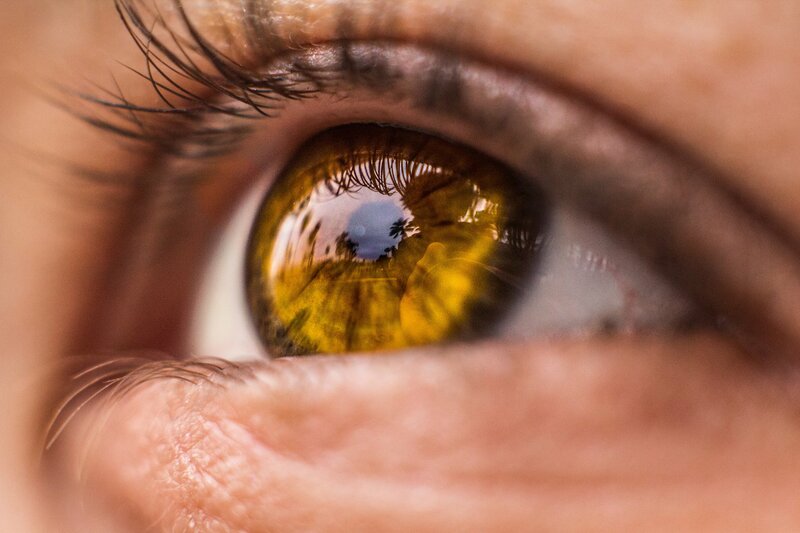 Amber eyes are often confused with hazel, the big difference is that hazel eyes have brown and green in them, while amber eyes are a solid, uniform color. They are very rich in lipochrome and poor in melanin creating that glowing sparkle.They are abundant in the animal kingdom but a true rarity in humans. In general, several shades of colors can be found and they are given different nicknames such as gold, silver etc…. Different conditions can affect the eye color, the most frequent is Heterochromia Iridium which is a condition where the eye has more than one color.It can be found in one or both eyes and it’s called segmental heterochromia.Otherwise, one iris can have a different color from the other and it’s called complete heterochromia found commonly among cat species. 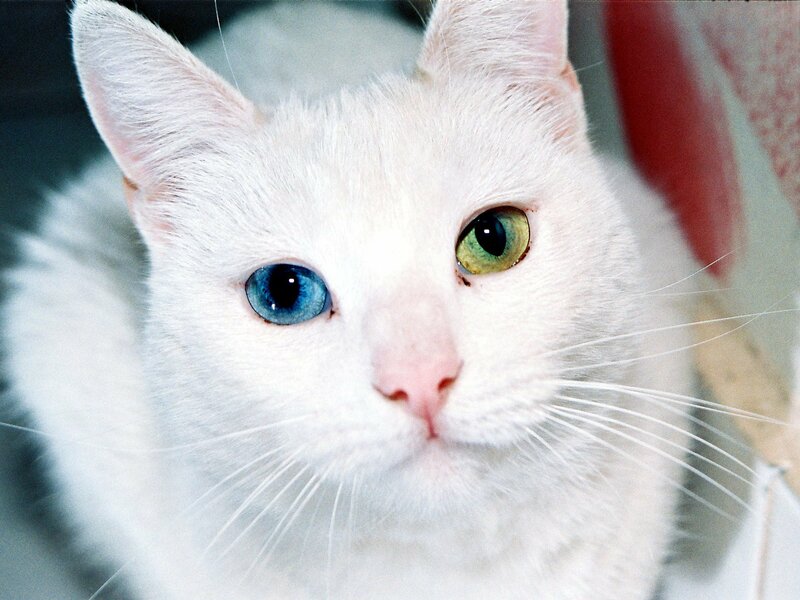 In most cases, Heterochromia is a normal phenomenon but it can be a sign of a pathological process hidden underneath. In rare cases, the iris is completely absent on superficial examination defining the aniridia.In most cases, it’s genetic, caused by a mutation in the PAX6 gene, responsible for manufacturing a protein essential to the development of the eyes. The condition may need a special care because it’s often associated with other congenital abnormalities. The eye is one hell of an organ, it mixes sharp design, critical function, and beauty.So maybe after all it’s really the window to the soul. Next articleDoes Coffee Really Cause Dehydration?